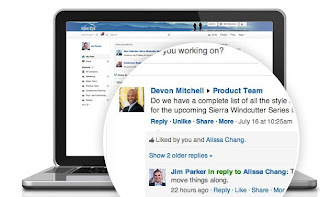 Yammer a "Facebook for business"
Dec last year, I have received an invitation email from one of my colleagues to join my company network on Yammer. I was quiet blur what is Yammer, I thought my company have subscribed to new online time sheets and time tracking system. I accept invitation and continue to complete sign up process. 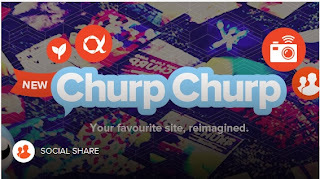 First time I look to the interface, I said "ohhh..it is just just like facebook for my company only". After that, I start updating my profile, following my colleagues and join my team group. 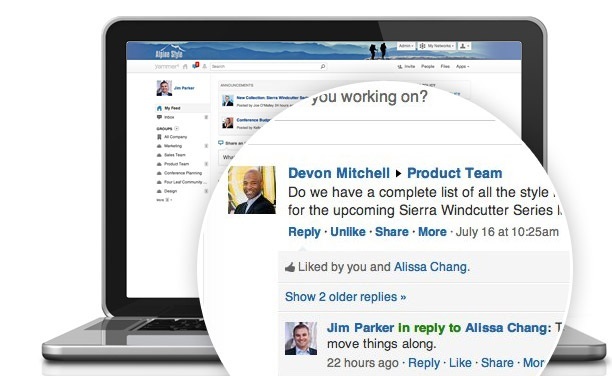 You can share your status, share your document or image, post a poll, praise some one and post an event in yammer. 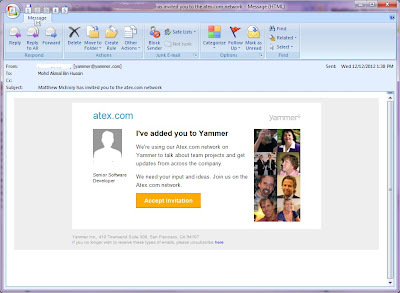 Instead using web, we can access Yammer through phone ( android, blackberry and windows phone), tablet like iPad and Samsung Galaxy Tab, desktop ( Apple machine and Windows ). 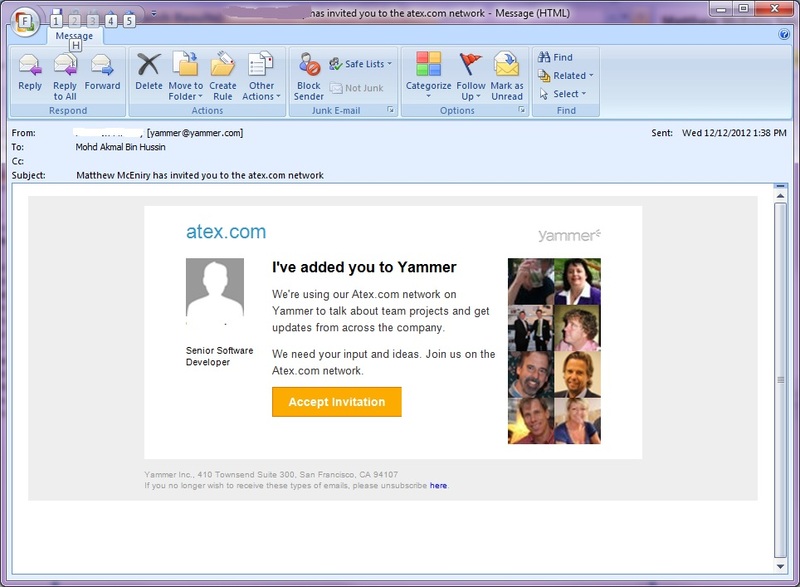 You also list of feeds from Yammer using Java script like Twitter and Facebook. In June 2012, Microsoft announced that it has acquired Yammer $1.2 Billion in cash. 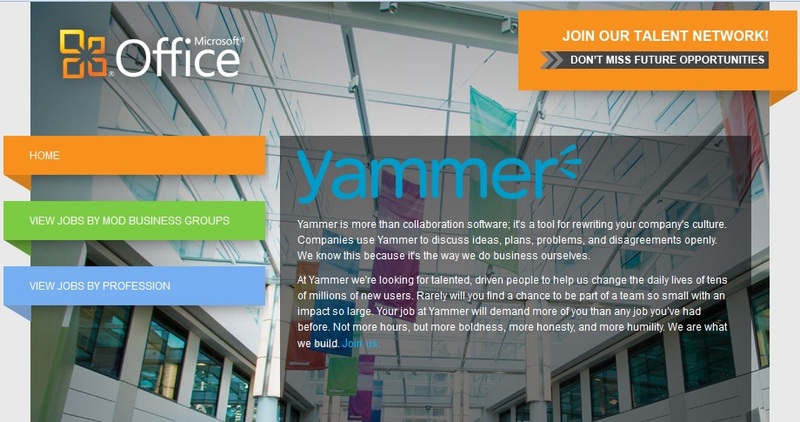 Currently, Microsoft is looking for talent to join their Yammer team.